North-East India is a precious gem of the country. This is where the purest form of nature prevails, along with a rich heritage and vibrant culture. Gangtok, Kalimpong and Darjeeling are popular places to visit in North India and this tour features them. During the sojourn you will hail the view of two of the highest peaks of the world, Mount Everest and Kanchenjunga Peak. Prepare to behold a million flowers strewn over the hills in Kalimpong, a prominent trader of orchids. Darjeeling’s Tiger Hill is famous for its sunset view. The peaks starts to change color and the sunrays caress the two highest peaks first (Mount Everest and Kanchenjunga). On your arrival at the Bagdogra Airport, meet our tour representative. 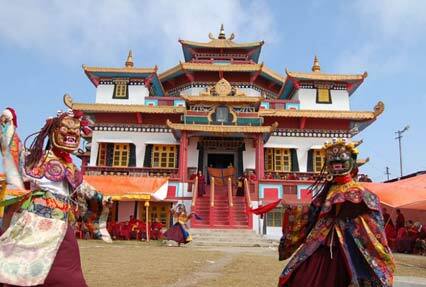 Get assistance for transfer to Kalimpong. On arrival check-in to the hotel. The day is free at leisure. 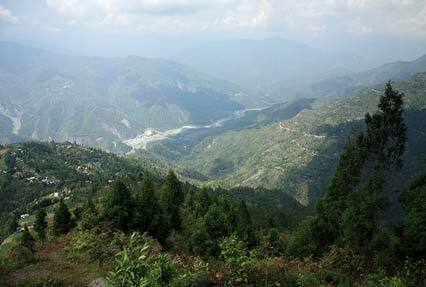 The beautiful town in West Bengal state is situated at an altitude of 1250 meters. The town is an important trade center of botany, more than 80 percent of India's gladioli and other orchids are produced here. The town is home to Nepalis, Lepchas and other ethnic groups and migrants. Kalimpong acts as a center for Buddhism, its monastery Zang Dhok Palri Phodang houses Tibetan Buddhist scriptures that are rare. However the town is small, but a myriad of opportunities and sites please travelers to make a visit. Begin the day with a hearty breakfast. Later proceed for local sightseeing tour of Kalimpong. Enjoy the beautiful sights which includes Mangal Dham, Deolo Hills, Dr. Graham's Home, Golf Garden, Durpin Dara Hill & Flower Nurseries. Later in the afternoon, proceed with a drive to Gangtok. On arrival at Sikkim's capital city, check in to the hotel. Wake up to the blissful Sikkim air. Have a quick breakfast, after which proceed for a day trip to Tsomgo Lake. 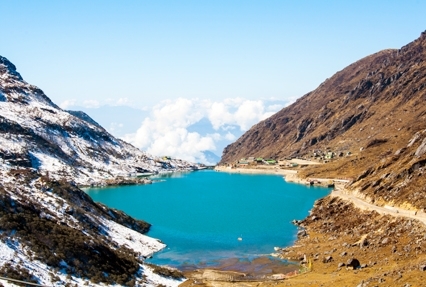 Also known as Changu Lake, this glacial lake is a popular tourist attraction lying on the road towards the Nathu La Pass. Soak in the beautiful surroundings here. The next visit is Baba Mandir, built in the memory of a brave Indian soldier, Harbhajan Singh. You can also go for the optional tour to Nathula Pass (Alt 14000Ft.) on China Border that can also be arranged (Except Mon, Tue) for Indian Nationals only at an additional cost. After a well-spent day, return to Gangtok. The evening is free for leisure activities. Browse through the very popular foreign-style local market of Gangtok. Post breakfast leave for a full day city tour (8:30 AM - 4:00 PM) covering the major tourist attractions in Gangtok. Start with a visit to Tashi view point, later proceeding to Ganesh Tok & Hanuman Tok, Ranka Monastery, Banjhakri Falls, Cottage Industry, Dro-dul Chorten, Institute of Tibetology, Flower show and Handicraft Centre. Post breakfast, check out from the hotel and drive to Darjeeling. On arrival in the beautiful hill town of West Bengal, check in to the hotel. Rest of the day is free at leisure. Early in the morning, leave for viewing sunrise at Tiger Hill. This is a major attraction amongst the tourists. Tiger Hill lets you savor the sight of two of the highest peaks of the world, Mount Everest and Kanchenjunga. A peaceful view of the sunrise can be enjoyed from this point. The sun-rays first embrace the peaks of these two peaks and gradually spread throughout the panorama. When done with Tiger Hill, head to visit Ghoom Monastery to pay respects to the statue of Maitreya Buddha and Batasia Loop, the rich manicured garden where you can pay homage to the martyrs in War Memorial or spot Darjeeling Himalayan Train cooing and heading to its destination. Have your breakfast and leave for city tour. 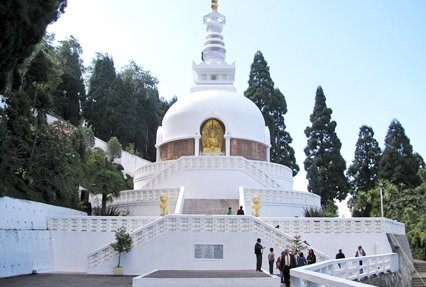 Your day schedule includes visit to the major attractions like Natural History Museum, Himalayan Mountaineering Institute, Parmesan Nadia Himalayan Zoological Park, Tibetan Refugee Self Help Center, Ropeway, Tea Estate, Peace Pagoda and Tensing Gumbo Rock. Today brings an end to the tour of the beautiful cities in North East. After you are done with breakfast check out from the hotel and transfer to Airport to connect the flight for onward destination. Accommodation using base category Room of each Hotels. Meals- As mentioned above in the Package. All transfer and sightseeing by Non AC Tata Sumo with all India Tourist permit on point to point basis: Gangtok local sightseeing by Non Ac WagonR/ Similar. Any Air Fare/ Train Ticket. NOTE: Above rate is valid from 1st Apr 2019 to 15th Jul 2019.